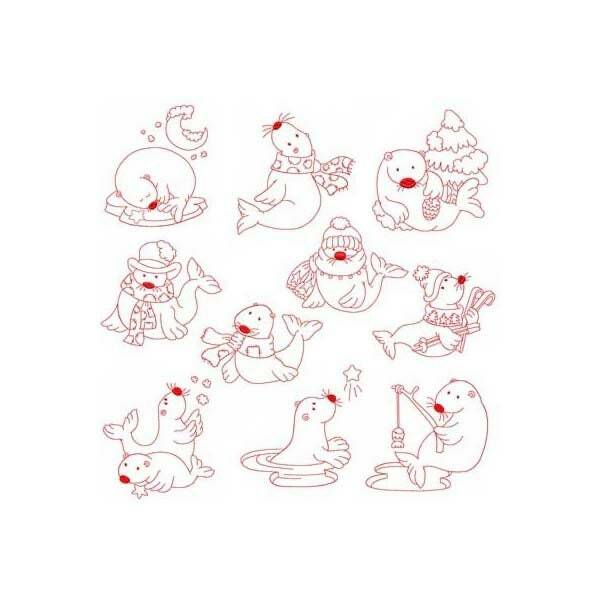 Ten Adorable Seals On Ice Linework designs! Designs fit 4x4 & 5x5 hoops. 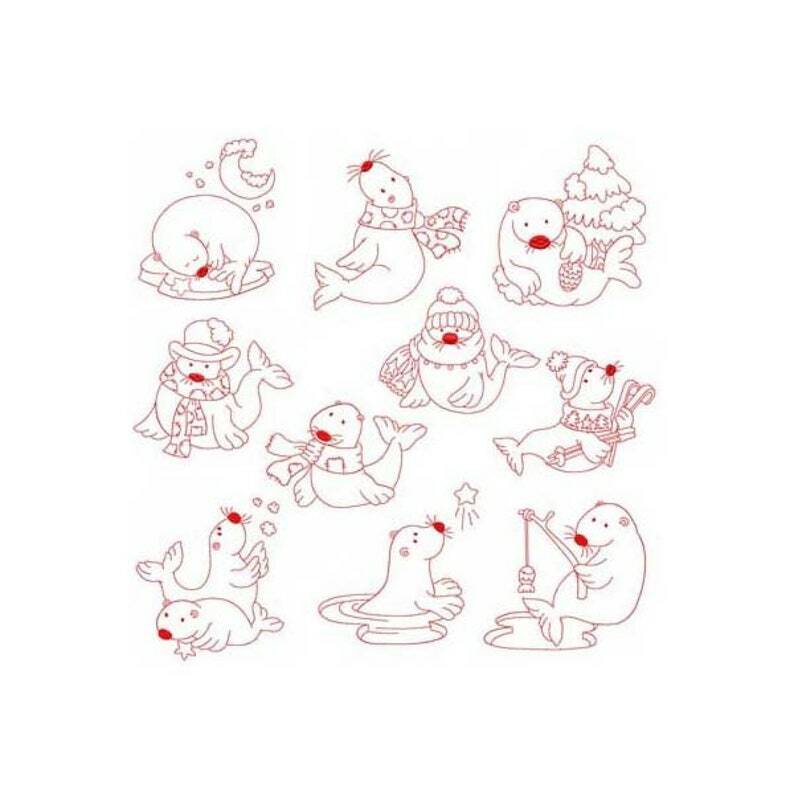 Each Seal comes in two versions, one is backstitch, the second is single line.